Deepika Padukone spotted 'shaadi shopping' with her mom for her upcoming November wedding! If you are not living under a rock, by rock I mean a major rock, you’ll know the speculations are rife that this love-dovey couple is rumoured to be tying the knot at the end of this year. Ahhhh… finally after dating for 4 years, and giving back to back hits, this power couple has decided to get hitched on the 19th November! Although there’s not been any official statement by either the Bhavani’s padukone household, I have a feeling that 'Bajirao' and 'Mastani' are definitely getting hitched soon. Why do I say that? Well, that’s because from the looks of it, the shaadi shopping has already begun in the Padukone household! 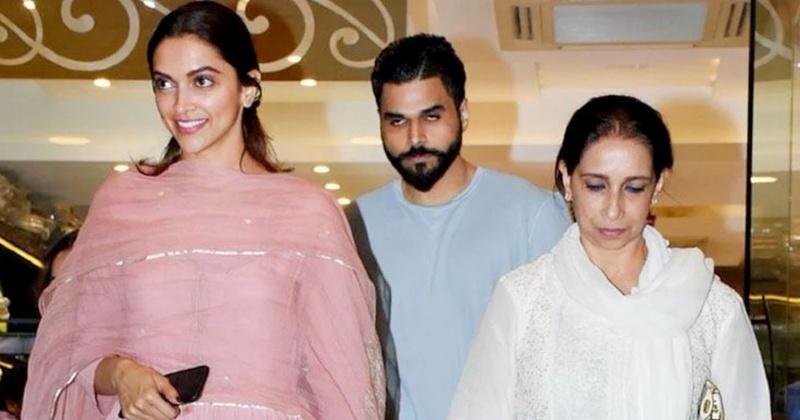 Just yesterday Deepika was spotted stepping out of a store in Bandra, with her mom Ujjala Padukone and the mother-daughter duo seemed to be in the whole shaadi shopping mode. That is one happy bride-to-be! Just look at the glow on Deepika’s face, it’s def the glow when you are all excited to say “I Do” to your beloved. Dressed in that pink anarkali, she’s looking her most radiant self! Ranveer on the other hand is in Hyderabad for the first schedule of ‘Simmba’ and looks like will wrap it up on-time for his big day. If the sources are to be believed, the Ram-Leela duo will get hitched in a quiet and private ceremony out-of-India. But knowing the groom-to-be, I am not sure how quiet it’ll really be. I mean it’s Ranveer Singh! The guy does not do quiet. Anyway, here’s awaiting a final announcement from the much-in-love couple. Till then, let's just all enjoy this anticipation!